"Mad Dog" Majima is back in Yakuza: Kiwami, although this time around he's not a playable character like he is in Yakuza 0. 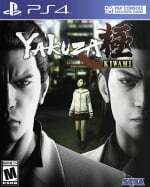 For those out of the loop, Kiwami is a remake of the first Yakuza title on PlayStation 2, so its story has already been told - barring one crazy Majima-related detail. The remake features a mental-sounding new system called 'Majima Everywhere'. Basically, as you roam around the streets as protagonist Kazuma Kiryu, you'll stumble across Majima at random intervals. The one-eyed gangster will then challenge you to a brawl, and by taking him on, you'll level up Kaz's Dragon of Dojima fighting style. This is obviously a relatively small addition, but we thought it was worth noting for how nuts it sounds. 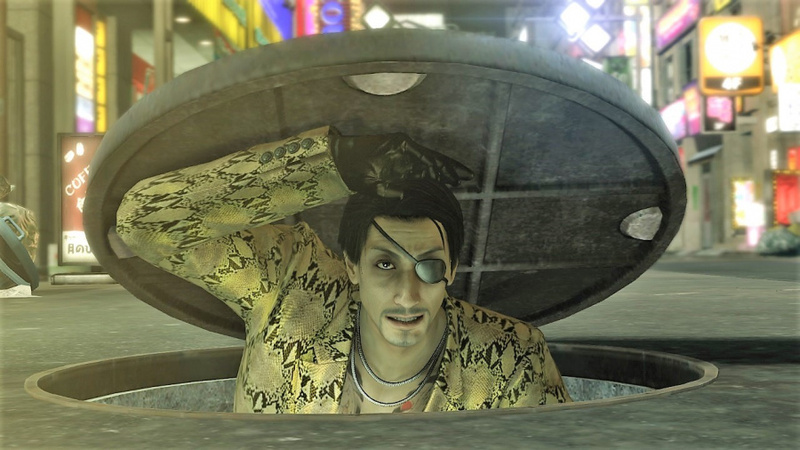 Majima really can show up just about anywhere - you can even encounter him in a hostess club where he poses as a gaudy young woman in order to ambush Kaz. Yep, this has the potential to be amazing. Are you a fan of Majima? Are you eager to see him again in Kiwami? Watch he doesn't show up in the comments section below. Sounds pretty fun. Hope he starts every altercation with: "Yo Kiryu-Chan!" Inspired by pokemon, why not. Still need to play 0. I've been thinking about picking up 0. I've never played any of these games before. Just wondering what they are like mainly if they are level based games, mission based, open world? Really don't matter to me as long as a game is good. Just like to know what I'm getting into. Also how long is it? @ellsworth004 The Yakuza games are kind of open world in terms of structure. They're primarily set in a Japanese red light district, which you're free to roam around, getting into fights with thugs and playing minigames like bowling, karaoke, and disco dancing at various locations. Think of it as an action RPG with free-roaming and you're on the right track. Typically you can blast through the main story of a Yakuza game in around 20-ish hours, but there's enough optional side content to easily double that. @ellsworth004 They're action-RPGs. Except the World isn't a fantasy land with made-up regions; its the Yakuza version of Tokyo and its multiple regions. Areas that are based on real regions, but slightly fictionalized, not that people can tell if they've never been. So they usually take place in the red light district of Tokyo - a place in real life called Kabukichu iirc - but in the games' equivalent area is called Kamurocho. Shops exist, but they're actual shops like convenience stores instead of potion shops. You run into random battles, but its crazy people who want to pick a fight with you that emerge from crowds (and you get money for beating them up just like in RPGs; they're usually throwing money at you to get you to stop beating them up, lol). You level up and there's skill trees to use and newer/better things to purchase... there's breaks for conversations and cutscenes... and loads of minigames to check out... its just an action-RPG. The combat feels like an arcadey beat 'em up too. Moreso than say a Tales game or whatever. When it transitions into combat it feels sort of like what a modern Streets of Rage or Fighting Force might feel like. Very fun (even early on before you have much that you can do), very flashy, and very satisfying. Particular the slow-mo, and the brutal moves you can do, and the money that flies out of people when you hit them. The maps are large and free-roaming with NPCs wandering about, but its not technically open world like, say, Sleeping Dogs. Its somewhere between Sleeping Dogs and Shenmue, though. You should just pick up Yakuza 0; they're super fun games. Majima should be playable in this! He is the best character in the Yakuza games! I know this is a remaster but they could create some way of playing him! "Yahaha! You found me! Bye bye!" New to the Yakuza games, only played through Zero recently. But what a game! The story was just so mature and well written, & tear jerkingly tragic at times. It really puts other games stories to shame. And the gameplay is classic over the top Sega, fun in spades. And the characters themselves....man I could go on & on! I'll be there day 1 for Kiwami.